Before you ring in another New Year, you may want to take time out of your busy schedule to observe another annual ritual: a review of your estate plan. If you're like most people, you probably stuck your will and other documents in a drawer or a safe deposit box as soon as you had them drawn up—and have rarely thought about them since. But changes in your personal circumstances or other events could mean it's time for an update. It normally makes sense to review an estate plan at least once a year, just to make sure it's still meeting your main objectives. What sort of changes might necessitate a change in your plan? Here are events that require alterations in your will or other estate documents. Revisions in federal or state income tax or estate tax laws. If one or more of these events happens to you, there are several legal documents you may need to revisit. Often that will include revisions in the bequests for some of your heirs. For instance, you might expand the list of beneficiaries to include a newborn in the family or reduce it if you've had a falling-out with a relative. A divorce could necessitate a complete overhaul. Also, you might decide to switch executors. Finally, your will may need to be updated to reflect changes in state or federal laws. Revocable living trusts: Similar to a will, a revocable living trust provides for the distribution of assets transferred to the trust. Unlike a will, however, these assets don't have to pass through probate upon your death. This can save both time and money, and you might decide to use a living trust to supplement your will. Because the trust is "revocable," you retain the right to change beneficiaries and reallocate assets designated for certain beneficiaries. The same sort of additions and subtractions used for a will might apply to the trust. In addition, depending on your situation, you could amend other terms, such as changing the guardian of minor children, a trustee, or successor trustees. Durable power of attorney: A power of attorney is a legal document authorizing someone (the "attorney-in-fact") to act on your behalf in financial affairs. A "durable" power of attorney stays in force if you become incapacitated. 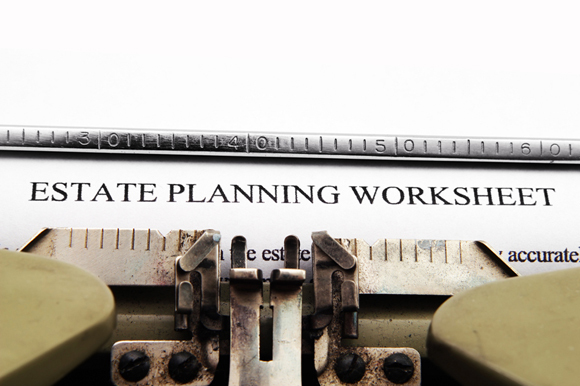 This can be a vital component of your estate plan. Are you planning to buy or sell assets or undergo life-threatening surgery? A durable power of attorney may be especially beneficial in these situations. Include this document in your estate plan if you haven't already done so. Living will: Finally, a living will can provide guidance to your loved ones should they face difficult end-of-life scenarios. This can be combined with a health care power of attorney to ensure that your physicians and the hospital comply with your wishes. Living wills are often associated with elderly people, but issues can arise at any stage of life. In your review of your estate plan, look again at this document to see whether it still accurately reflects how you feel. And if you don't have these documents yet, consider adding them to your plan. Once you've completed the year-end review of your estate plan, circle back to your professional advisors for assistance in implementing any changes that are needed. When you're done, you can look forward to a happy New Year! This article was written by a professional financial journalist for sterling advice new2 and is not intended as legal or investment advice. Are You Still On Target For A Secure Retirement? Should You Fly Solo In Your Own 401(k) Plan? © 2019 Sterling Financial Group. All Rights Reserved. 2019 Sterling Financial Group. All Rights Reserved.